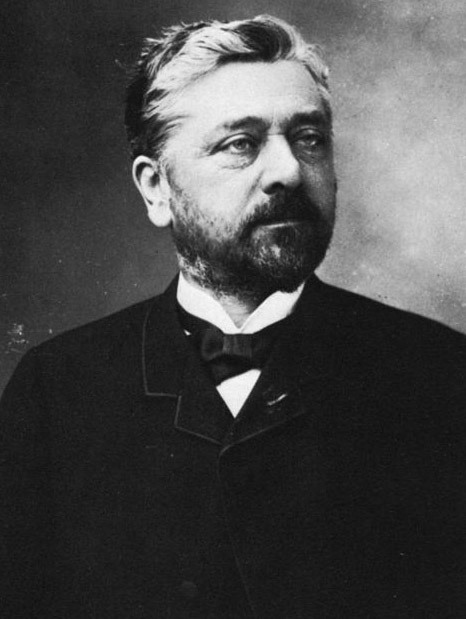 Alexandre Gustave Eiffel (December 15, 1832 to December 27, 1923) was born in Dijon, Cote-d’or, France. Though he has many engineering marvels to his credit, he is famous for the Eiffel Tower, which was built between 1887 and 1889, for the 1889 Universal Exposition in Paris. Eiffel’s childhood heroes were his uncles Jean-Baptiste Mollerat and Michel Perret, both Chemists. They taught him a wide range of subjects from chemistry to religion. Though clever, he was not studious. He attended high school at Lycee Royal. He then attended Sainte Barbe College as a preparation to admission in the prestigious Ecole Centrale des Arts et Manufactures. He graduated with a Master’s Degree in Chemistry. After graduation, he joined Charles Nepveu as a project manager to build a railway bridge. Soon Nepveu recognized his organizational and engineering talents and kept providing him other projects. As his reputation spread he was entrusted with constructing some landmark projects such as La Ruche, Garabit viaduct, the Central Railway station in Santiago de Chile and the Mona Island Lighthouse near Puerto Rico. He was embroiled in a scandal during the attempted building of the Panama Canal, but was later exonerated. He was commissioned to build the Eiffel Tower for the 1889 Universal Exposition in Paris. The steel framed structure was an engineering marvel which used front line technology and had many innovations. It quickly became a landmark and is one of the most visited places in Paris even today. The Statue of Liberty was a gift from the people of France to the people of the USA. Eiffel designed the internal steel structural elements. It quickly became a source of pride for the Americans and stands out as a beacon of freedom around the world. Eiffel died in 1923 at the age of 91. He left behind a rich legacy of engineering marvels, many of which are well known landmarks. He was an engineer par excellence.